The overriding purpose of Hutt City Corps is to bring people into a life changing relationship with Jesus Christ. Our church programme and extensive social service ministry focus on this goal as our driving motivation and hope in all we do. 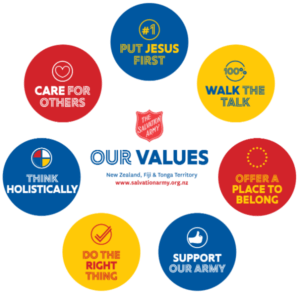 Currently the corps is intentionally developing its worship services and its wide range of life groups which support people in Christian discipleship, Bible awareness and fellowship. The Corps’ ministry to the Chinese Mandarin speaking community is an ongoing dynamic which now also features a Mandarin based service on Sundays.